"It's who I am. I am a cat rapper." Rapper Dwayne Molock's fans are all over him. A lot of times, they even mob him while he's performing. In fact, Molock can't even walk in the door without his cats leaping from tables and dressers, and climbing trees. 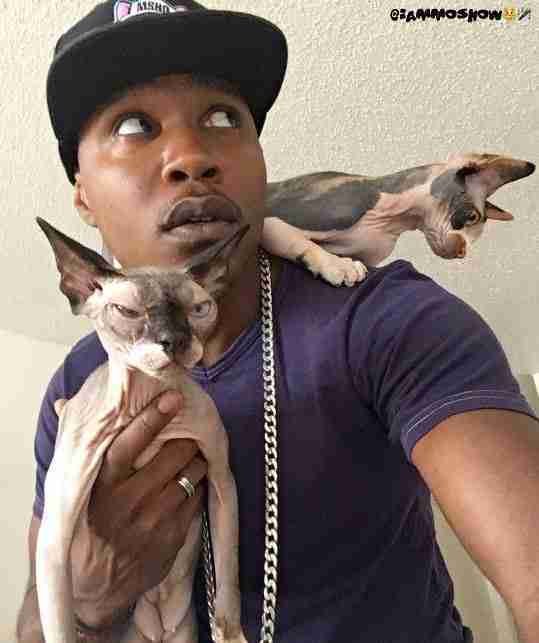 They cling to every inch of their favorite human - a man who goes by the stage name Moshow, aka the Cat Rapper. It's a love this Maryland-born hip-hop artist thought he would never know. You see, Moshow grew up without animals in his life. "I wasn't used to animals, period," he tells The Dodo. But it only took one for that to change. Moshow met a girl in theatre class who had a black cat named Queenie. 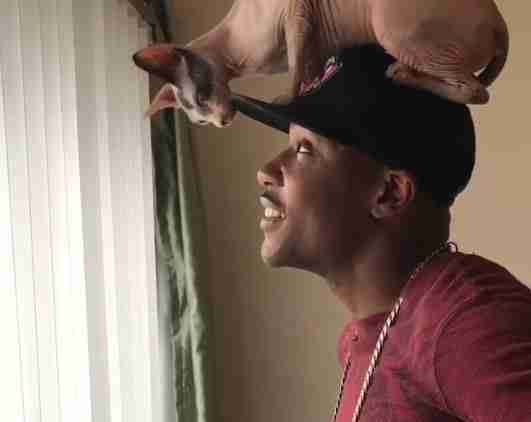 When Moshow studied at her house, the cat would perch across from him. "Queenie would just stare at me for hours," he says. "I noticed she would be closer and closer and closer. Then she was sitting on my lap. As soon as that happened, I wanted that every night I studied. 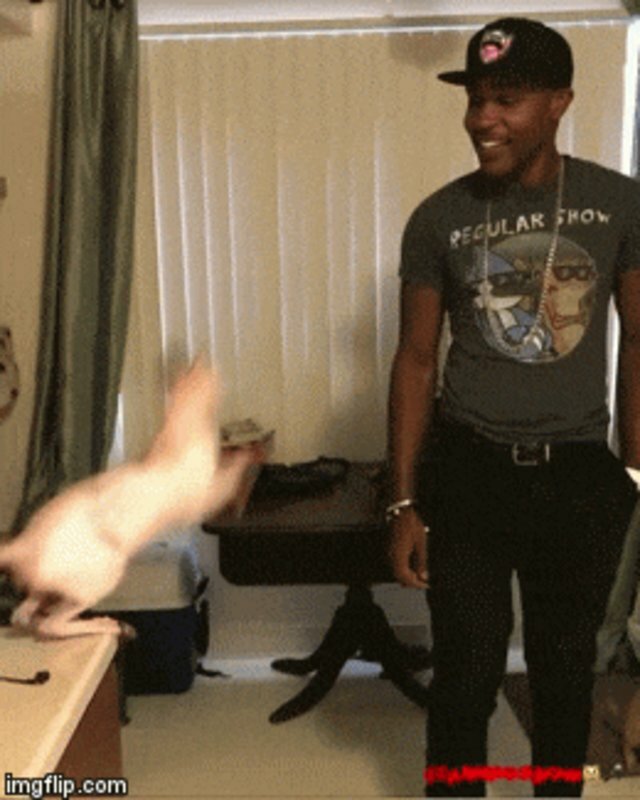 That's when cat fever took over." 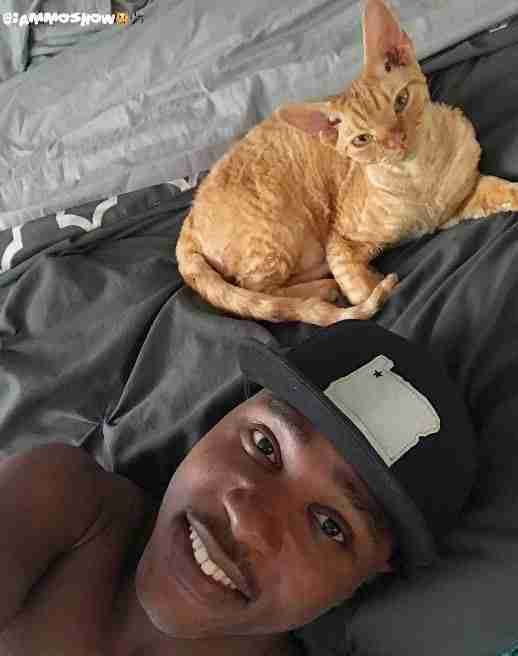 Moshow would eventually move to Portland, Oregon, with his cat-loving girlfriend. And their family would grow. The cats would soon form Moshow's first fan club. But much more than mere props in Instagram music videos, his crew's affection is all natural. "Honestly, they are really, really infatuated with me. Not only me, but my lady," Moshow says. "What you see on the camera is literally my life every day. Nothing that people see is me waking up and trying to figure out what I'm going to do and what is cool. It's just me." 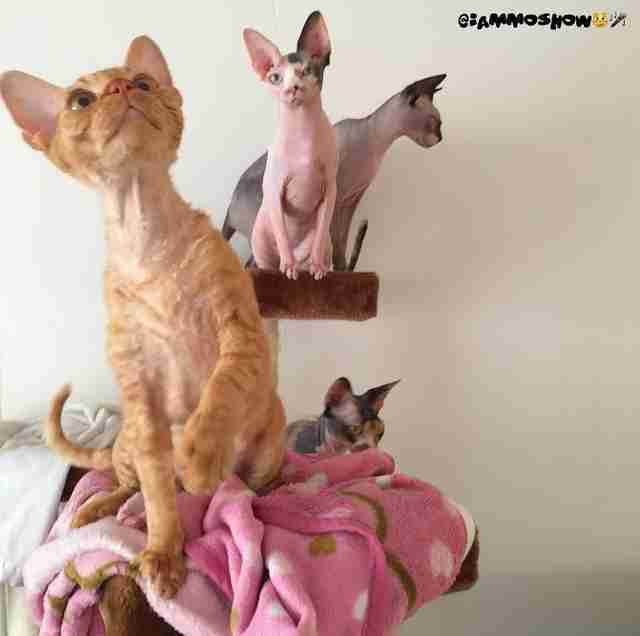 Today, Moshow and his girlfriend, who goes by EmSee, have their own Wu Cat Clan: Ravioli the Rex, The Mighty Mega Mam, Sushi Hana and Tali the Lover. 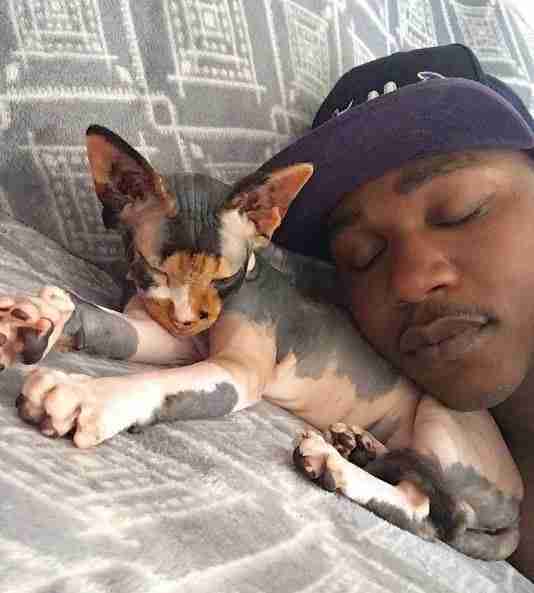 "Sushi is very clingy with me," Moshow explains. 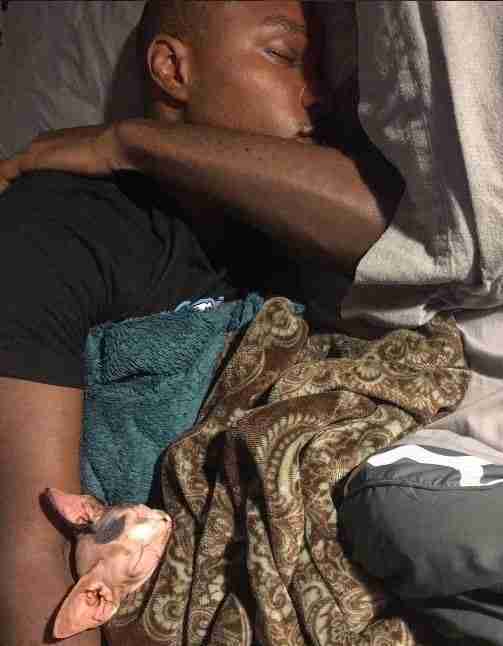 "Every night she walks up to me and sleeps on my chest, on my pillow, on my legs." Then there's Mega Mam, who prefers to chill on the couch. "Tali is super talkative, vocal and screamy," Moshow says. "She's like the love cat of the entire group and wants to be pet at all times." "People love his face and people get all into his looks," Moshow says. .And he throws supermodel tantrums. 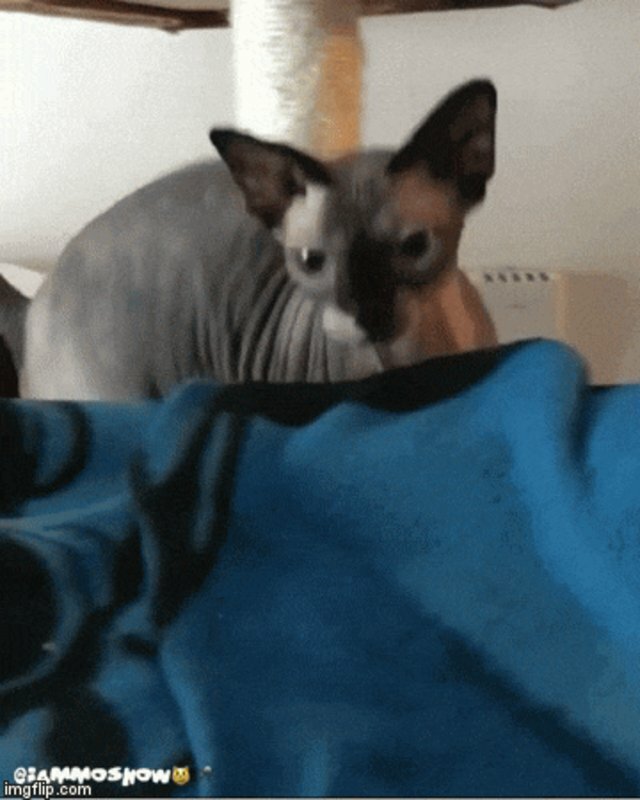 "He's the baddest of them all and is the boy of the house and gets destructive and knocks stuff down and meows for no reason except that he wants attention," Moshow says. And Sushi? Well, she's OG. 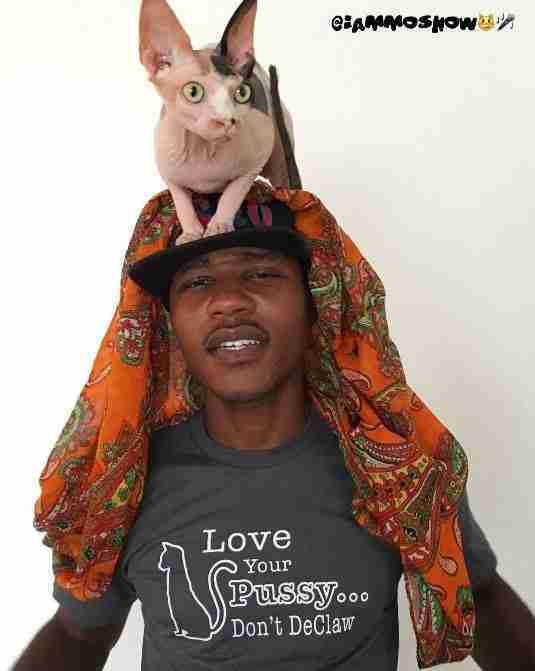 "Sushi is the first cat that I did a rap with," Moshow says. 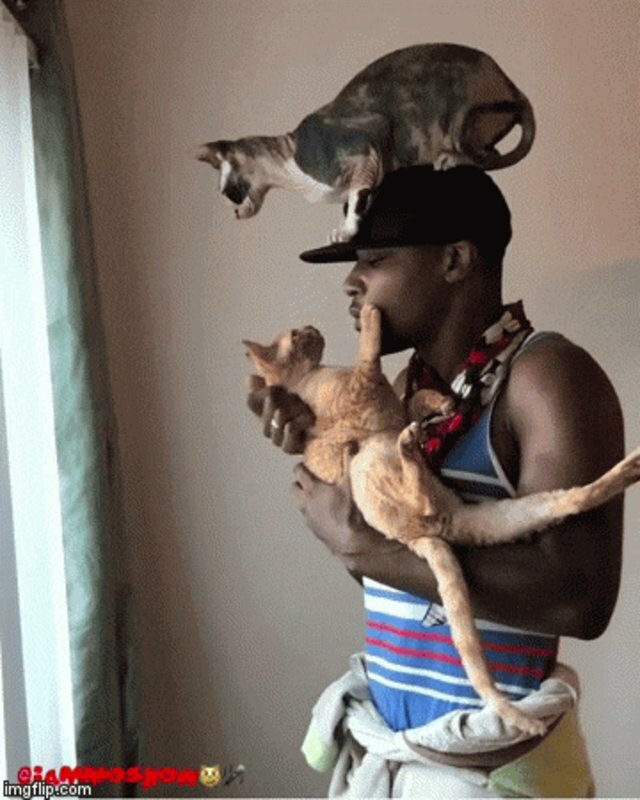 Together, they have turned one man who swore he was not into cats into the guy who can't live without them. 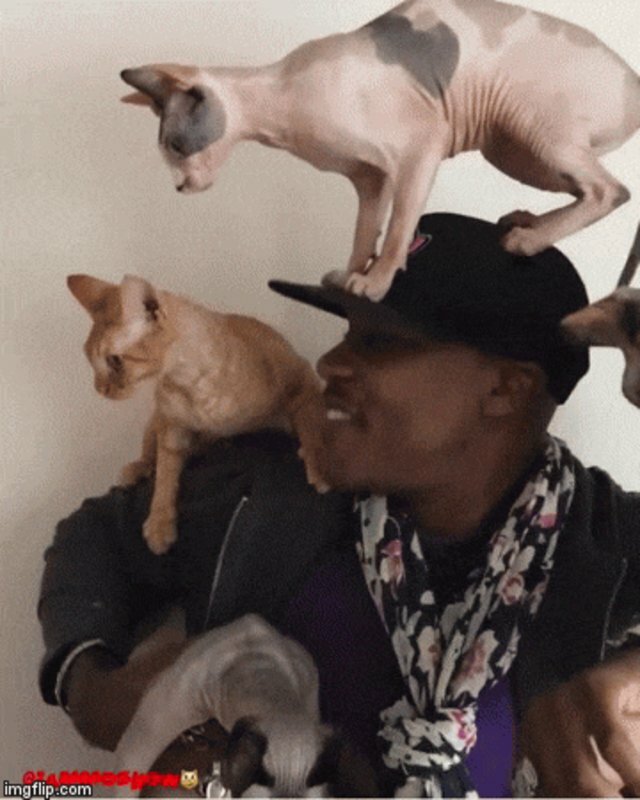 "I just love cats, man," Moshow says. "I am not afraid to express my love for cats. It's who I am. I am a cat rapper." 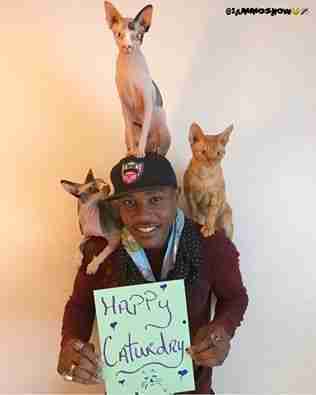 And his message of love for the feline kind is one we should all embrace.  Like the warm, fuzzy felines that Moshow gets every time he walks in the door. 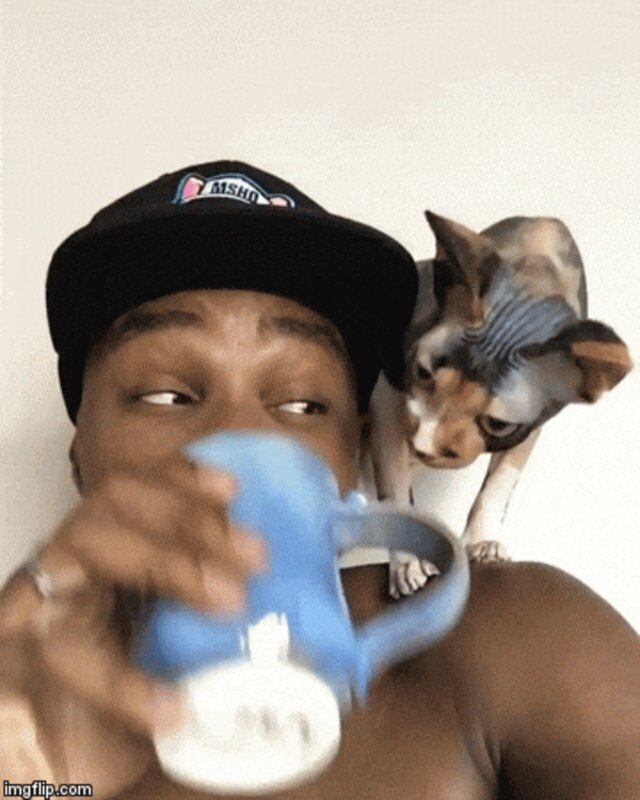 You can follow the Cat Rapper's adventures on Instagram.